If I was a cynic, I’d guess that some master e-mail listserv of reporters was coordinating a response to Politifact’s “Lie of the Year” claim. If you have a degree from a J-school and a press badge and you haven’t written about this today, you’re doing it wrong. Erica Greider spends quite a lot of time on it in The Economist. [A]ccording to Politifact’s critics, Mr Ryan’s proposed changes are tantamount to ending Medicare as we know it. If so, how is it not fair to say that the Ryan plan would “end Medicare,” full stop, without the extra clause? Politifact’s response would presumably be that the extra clause is actually really important: even if you’re making dramatic changes to an entitlement programme, if it still exists and serves the same core purpose, the programme hasn’t ended. So the question about what it means to “end Medicare” can’t be answered without first clarifying the essential nature of Medicare. Is it insurance, or is it an entitlement that applies regardless of means? Getting somewhat lost in this discussion is where the “ends Medicare” line came from. It was not birthed like Athena from the skull of Nancy Pelosi. 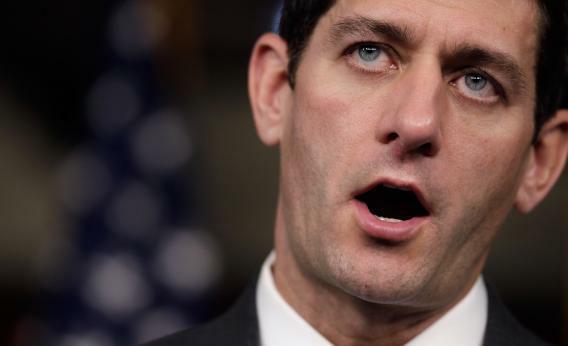 It came from an April 4, 2011 preview of the Ryan plan by Naftali Bendavid, writing in the Wall Street Journal – that simmering pot of liberal bias. Here is how Bendavid described it. The plan would essentially end Medicare, which now pays most of the health-care bills for 48 million elderly and disabled Americans, as a program that directly pays those bills. Mr. Ryan and other conservatives say this is necessary because of the program’s soaring costs. In subsequent Democratic spin and ads, this was the citation for the claim that the Ryan plan “would essentially end Medicare.” Strangely, PolitiFact never mentions this original, reported analysis. The fact-checkers claim that “Democrats pounced” on Ryan, that “the Democrats were turning the tables” on the spin, and that the lie is “the Democrats’ claim.” No mention of how a non-partisan analysis of the bill, by a congressional reporter, first made the “ending” claim. But is the “scare” is based on truth, or isn’t it? Some things that are scary are rooted in reality. Bendavid’s report is important because, coming first, it was not shaped to respond to any particular political responses. I’m reminded of how “Social Security privatization” evolved from an accurate term to describe, well, privatization, into an “attack.” What happened in 2005, when the Bush administration engineered a Social Security fight, was that party strategists realized (thanks to polls) that “privatization” was less popular than “personalization.” Because the adherents of the reform called it “personalization,” to call it anything else was bias. It was an inversion of the way this is supposed to work: Reporters call things what they are, and politicians apologize for lying about them. The original Bendavid story was reporting of the kind Alec MacGillis lionizes here. Fact-checking of the PolitiFact variety “sells short the reporters who do know the facts on the issues they cover, who would be in a position to infuse their coverage with more analysis and insight (thereby making it more vital and readable) if they were less shackled by constraints.” PolitiFact’s argument – one that will be used to rebut Democrats all through 2012, maybe even to get ads taken off the air as “false” – is that a description is not “true” if someone stands to lose from the description.